Well, what with bad weather, funds, ill health and other commitments, it's taking its time, but this is where we are at. Electricity is currently being installed, so it's just the fibreglass roof to go on and the patio door. After that, it's the home stretch with things like rendering and insulation. 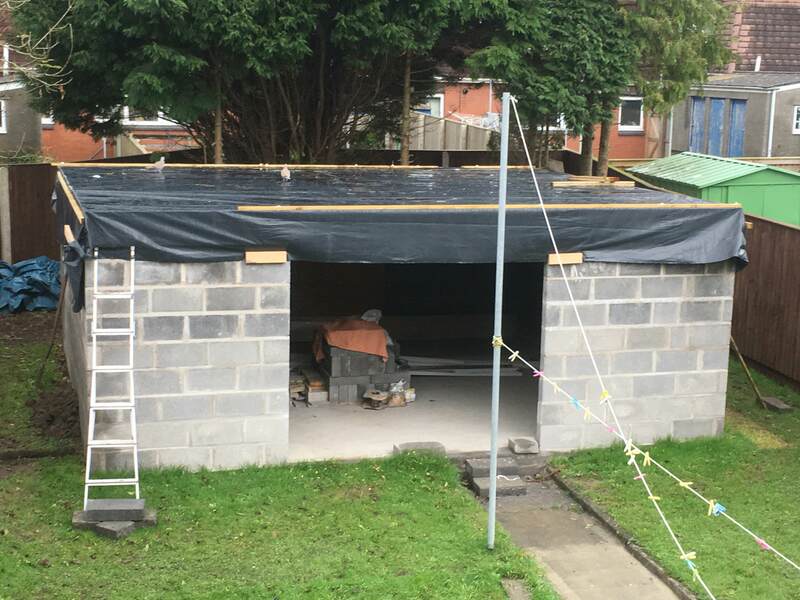 What with the weather and all, it's taking its time but we managed to finish off the fibreglass roof (and guttering) yesterday. I have a question, how do I safely and legally dispose of the four empty resin 20kg drums that are left? Well, the heavy lifting has been done, now it's just a matter of cosmetics like painting the exterior and interior. As you can see by the red highlighted area, I don't want to skim any more of the turf away because it's revealing the bottom of the rendering; it'll just be exposing the surface to more weather conditions. 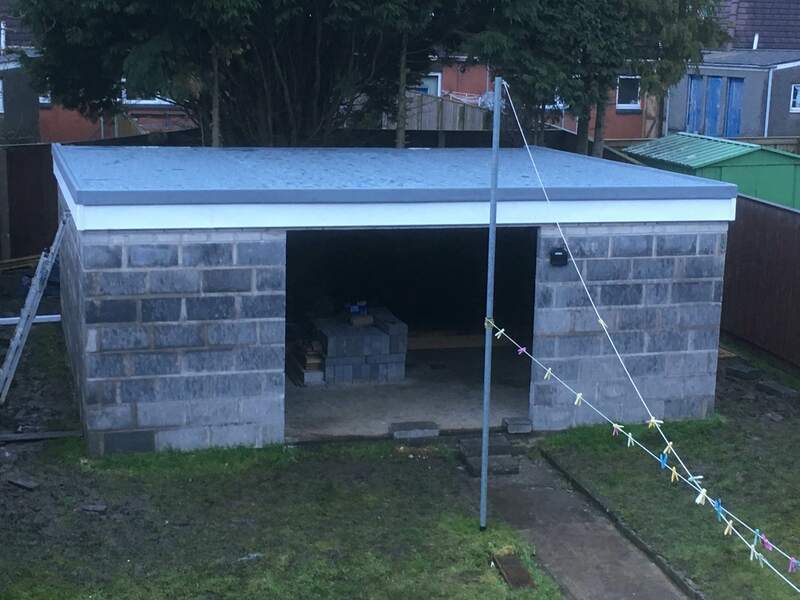 Building 'lean to' shed against existing wall?